The Ohio University Marching Band, known as the "Marching 110," is the 240 member marching band at Ohio University. 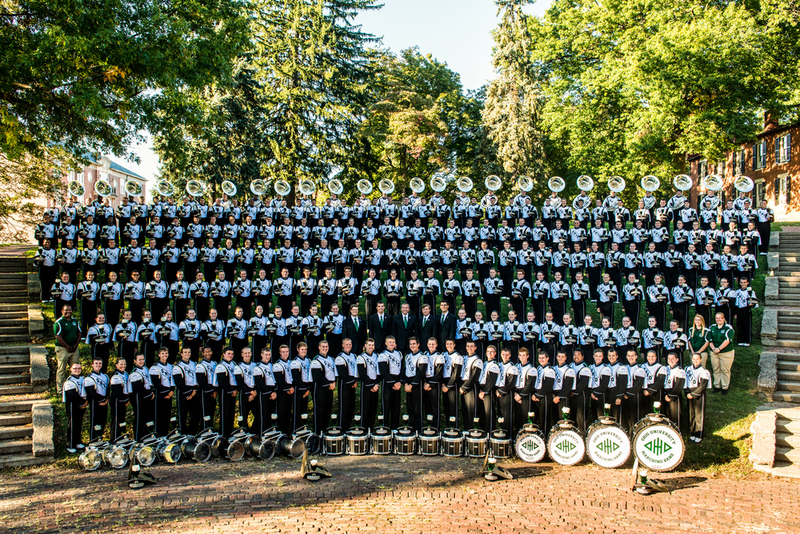 The primary goal of the Marching 110, also known as "The Most Exciting Band in the Land," is to provide half-time entertainment at Ohio University football games. Recent performances highlights include the 2010 Tournament of Roses Parade in Pasadena, CA; the Pittsburgh Steelers in 2011; the Cleveland Browns and Cincinnati Bengals in 2012; Dublin, Ireland and Rome, Italy in 2013; the Cincinnati Bengals and New York Giants in 2013; and the 2013 Beef'O'Brady's Bowl in St. Petersburg, FL. Membership in the marching band is determined by both music and marching auditions. These auditions are held during Training Week which is one week before classes begin. Please visit the Marching 110's website for additional information.